A lucrative marketing campaign. That’s the dream, isn’t it? A campaign that’ll raise your brand’s awareness, spark interest in consumers and entice them into a desired action. Preferably the one where they end up buying something, yeah? Why does creating a successful marketing campaign has to be this daunting task, though? The answer is – it doesn’t. The pressure certainly is high when it comes to producing measurable results, I’ll give you that. However, that’s why it is important to be well versed into your target audience. Especially before putting pen to paper to start your brainstorming sessions. Producing marketing campaigns backed by irrefutable data is certainly more likely to result in success. What of this data then? How do you go about collecting it? Let me welcome you to another episode of how media monitoring can help you out today. Media monitoring tools make it possible for you to track a number of different queries. Your own brand, your competitors and/or anything else of interest to your brand. This anything else of interest might be particularly, well, interesting to you. It includes tracking certain topics or hashtags that are relevant to your brand. Say you are an organic products retailer looking to be informed of any emerging trends in this area. You’d probably track your competitors, organic food organizations or associations’ social media profiles as well as influencers in this area. After all, they are often the ones starting new trends. Not only that, but you could track what your target audience is currently talking about on social media when it comes to organic products. 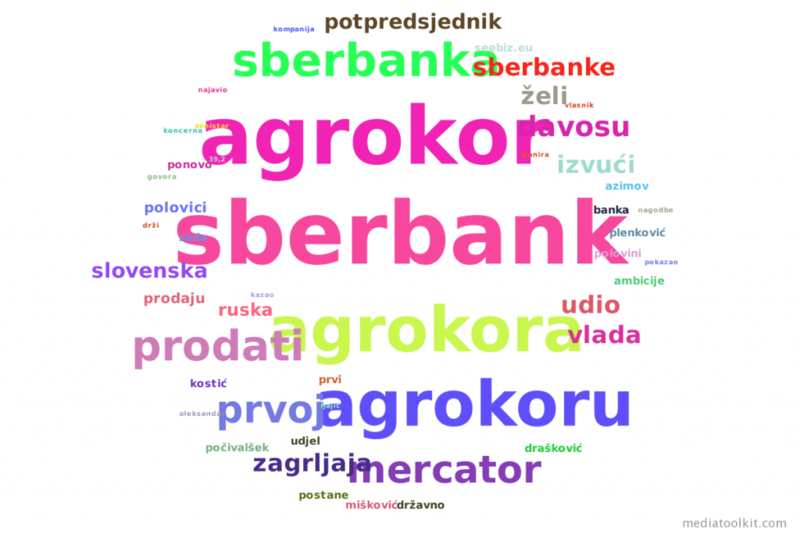 What is the most talked-about subject, what they like or don’t like, what they’d like to see change. You’d be privy to all this information. You can figure out what are the newest health buzzwords. What exotic nut or spice is currently trending, what are the newest trends in the raw food movement or what are the hit ingredients for shakes. Armed with all this knowledge, you can now act. Expand your offer and create relevant content for your website or social media. Write a blog about the health benefits of brazil nuts and introduce them as your new product or film a video demonstrating how to mix an energy-boosting shake while simultaneously using your own products as ingredients. Create marketing campaigns centering around what the consumers want and need right now. After figuring out these new opportunities and getting insight into the newest trends and consumers’ needs, the next logical step is the good ol’ fashioned market research. Except, it doesn’t have to be old fashioned. Media monitoring offers a more affordable way of gathering data and getting insight into your target audience, along with a few benefits. Let’s say you are launching a new product – brazil nut butter. By tracking the newest trends in the world of organic food, you’ve discovered a rising interest in this specific exotic nut. Now, you want to cash in on that interest and launch this new product to satisfy consumers’ needs. However, while you’re aware of this new trend in brazil nuts, you don’t know how people will react to a brazil nut butter, specifically. So, that’s what you want researched. 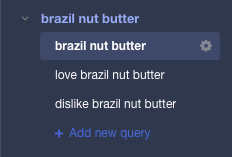 Using Mediatoolkit, you can set up a new folder with queries containing keywords such as “nut butters”, “brazil nut butter”, “love brazil nut butter”, “dislike brazil nut butter” and other similar keywords. Now, you’ll get insight into people’s opinions on this specific product across different social media. Not only that, but it is a freely voiced opinion which is a rather significant benefit of doing market research using media monitoring. While traditional market research methods may include a mediator’s influence over the respondents’ answers or half-hearted attempts at answering surveys, doing research using media monitoring eliminates those risks. After all, consumers are nowadays rather open about sharing their opinions on social media. Opinions you may not have even considered before. That’s why by tracking the aforementioned keywords, you can get insight into how receptive your target audience would be to a brazil nut butter. Aside from this, another important benefit to using media monitoring for conducting research is that it happens in real-time so there’s no fear of outdated data. Consumers’ opinions and perceptions are continually changing and this way you can always have insight into those shifts in opinions. Media monitoring is an excellent way for laying the groundwork when it comes to creating successful marketing campaigns. And while tools such as Mediatoolkit can help you in this endeavor exceptionally well, sometimes you need that extra, more experienced hand in navigating media monitoring waters. Not just media monitoring, but marketing waters in general. For instance, you may be relatively new to the business and not have experience in conducting quality market research. Which is why you’d rather leave it to the professionals – marketing agencies. And if, by chance, you haven’t worked with agencies before and have no previous experience in hiring one, any helpful online platforms are surely welcome. One such platform is Top Digital Agency that specialises in connecting companies with digital agencies. Think of it like Tinder for marketing agencies. You create your own profile with information such as your company’s name and website and publish your proposal. Then it’s all about swiping left or right until you find that one perfect match. And finding a perfect match is what’s really important. You want an agency specialising exactly in what you need and, right now, that’s an expertise in conducting market research. Which is why you won’t reach out to an agency focusing on, say, crisis management. However, that’s why this platform is so useful. You can browse between many different agencies that have pitched for your proposal and find the one best suited to your needs. You found yourself a new opportunity, did market research and launched a marketing campaign for a new product. You can’t leave it at that though, can you? At the very beginning, I’ve mentioned how campaigns need to produce measurable results before we can say they’ve been successful. There are plenty of ways to measure the results, but media monitoring is one of them. For instance, Mediatoolkit has three dashboards in its reports feature: basic reports, advanced reports and competitive analysis. However, you can also create a custom dashboard for specific needs you may have and are not included in the existing reports. 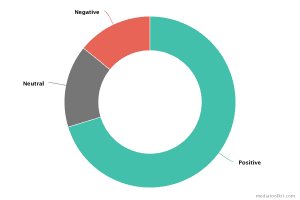 You can see how big of a reach your campaign had (as well as the number of impressions) and what was the prevailing sentiment (did they love it or did they hate it). 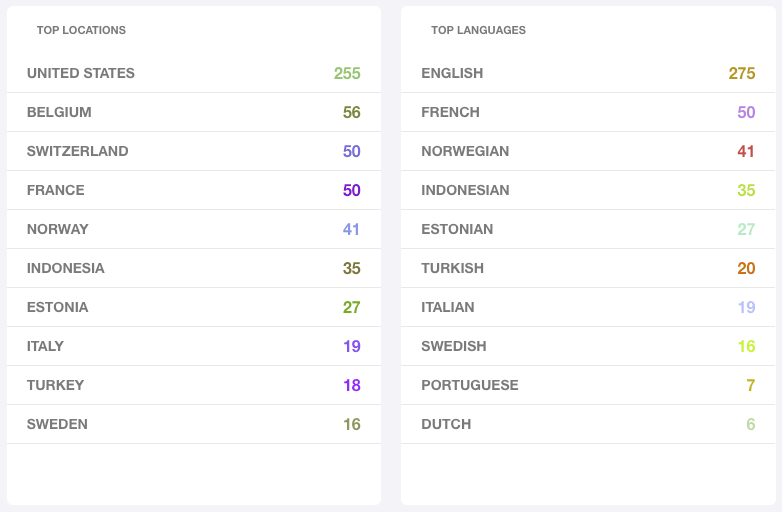 You can also get insight into an influencer scoreboard – you’ll know who were your top influencers by number of mentions, source and reach. Already by having this information, you can tentatively assume on the success of your campaign. And if backed by all the relevant data collected – it’s bound to be a win. Don’t hesitate to register here to start delivering lucrative results! Part of the Mediatoolkit marketing team. Fanfiction and sleep enthusiast dabbling in content creation.